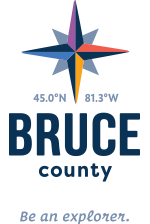 Rural Gardens in Bruce Counties, both hobbyist and professional gardeners who welcome visitors and share their green thumb secrets. The nearly two-dozen member sites range from internationally recognized gardens to lush organic crops to sanctuaries for butterflies. For more gardens along the Peninsula, visit: Peninsula Gardens, or for gardens within the interior of the County, visit: Interior Gardens. The high concentration of Orchids! Our escarpment cliffs, alvars, dolomite bedrock shores, marl fens and sand dunes challenge plants and promote diversity. Not only does the county boast a kaleidoscope of nearly 1500 plant species, it has one of the highest concentrations of orchids on the continent with 44 varieties. On the shore of Lake Huron, look for Showy Lady Slipper Orchids or Ram’s Head Lady Slipper in the protected grassy wetland fen habitats standing out in the crowd of grasses. Natural limestone pavements at the end of Singing Sands Trail are at their best when the Lakeside Daisies, one of the rarest flowers in Ontario, are in bloom in early-June. On the cliffs of the Niagara Escarpment, gnarled eastern white cedars, often hanging upside down, are amongst the oldest trees in North America – some over 1000 years old. Scout them out at the Lion’s Head Nature Preserve.